Some of the sheen has worn off of Sandy Silver's Liberal government, as it heads into its second full sitting in the legislature. It's been nearly a year since Sandy Silver led Yukon's Liberals to win a majority government, amid high expectations and effusive campaign promises. On Tuesday, the legislature begins its second full sitting under the Liberals and it seems some of the sheen has worn off the new government. There's still many a deliverable left in the Liberal platform — and some potentially huge changes afoot for the territory's taxpayers. Here are five things to watch during what promises to be a vociferous legislative sitting. One issue will likely dominate the fall sitting, and with good reason — it's the very meat and potatoes of Yukon's economy. The Liberals have decided it's time to take a serious look at how the territory spends the money it receives annually from Ottawa. 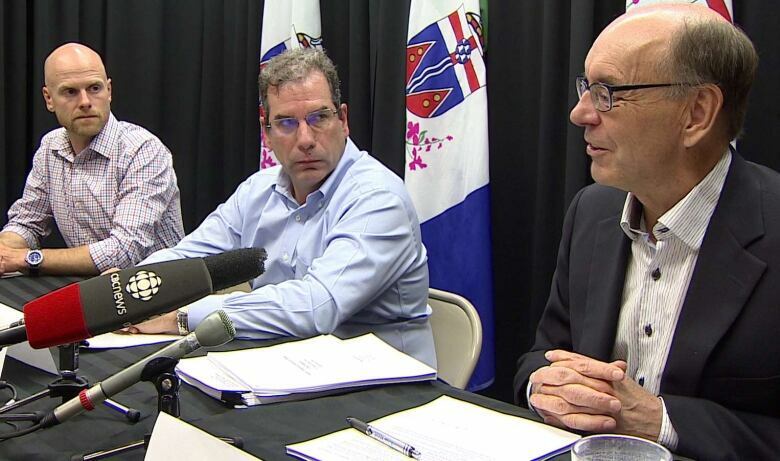 The government struck an independent financial advisory panel, which is consulting Yukoners on how to deal with the financial situation. The government has said it's facing projected deficits for the next three years. Depending on who you ask, the Yukon has either a revenue problem or a spending problem. Yukon's private sector is small and resource-dependant, so most of the territory's budget (about 86 percent, this year) is federal money. This year's budget of $1.44 billion administers to a population of 38,700. The advisory panel's draft report has already floated the idea of a harmonized sales tax, trampled the hallowed ground of the placer gold fields by suggesting a higher gold royalty, and looked the sacred cow that is the Yukon civil service straight in the eye, to wonder about cutting the ranks of government workers. It's also incensed the left wing by raising the possibility of privatising some aspects of health care. The report will be delivered to MLAs next month, and the government may then have to make some hard decisions. The Liberals will likely point to their predecessors' spending habits to explain the sorry state of Yukon's books. The opposition Yukon Party, meanwhile, is already referring to "the premier's harmonized sales tax", even though it's merely an idea from the independent panel at this point. There's very little that's known right now about Ottawa's proposed carbon tax, other than the fact that it's coming. Silver pledged during last fall's election campaign to return "every penny" collected back to Yukoners, but he hasn't used that line for some time now. The uncertainty about the tax has created some jitters in the private sector — and the Yukon Party is eager to midwife those fears into barbs in the legislature, as it did during the spring sitting. The Yukon Party has taken to calling it "the premier's carbon tax" (even though it's a federal initiative), and we should expect some real answers from the Liberal front benches, soon. Improving relations between First Nations and government was a central plank in the Liberal platform. But as with any marriage, taking the vow is the easy part. Backing it up with actions is the hard work. To wit — delivering on the "spirit and intent" of Yukon's umbrella final agreement between First Nations and government, including the all-important Chapter 22 on economic development. At least one First Nation economic development corporation has said that civil servants are actively hindering its attempts to access service contracts in wildfire management. Yukon gov't falling short on election promise, says First Nation development corp.
Community Services Minister John Streicker has wondered, "what does spirit and intent mean?" while the grand chief of the Council of Yukon First Nations, Peter Johnston, acknowledges that education must first happen at the cabinet level, before it can trickle down into the bureaucracy, and "come to life." It's a reminder of just how large a task actually honouring the final agreements will be. As Johnston pointed out, this is the first time a Yukon government has committed to a true "government to government" relationship. And make no mistake — bonhomie aside, First Nations firmly expect the Liberals to deliver. Johnston vows of Chapter 22: "we're going to open that Pandora's box." By 2030, about 18 per cent of Yukoners will be over the age of 65. The financial advisory panel has noted this, and warns that health care spending on older adults is even more costly in the north. The panel recommends a comprehensive review of the health care sector, and suggests that government reallocate spending toward things such as housing, education, preventative care, community justice, and other things that might help people stay healthy and avoid illness. The opposition is unlikely to argue — the previous Yukon Party government invested heavily in housing for seniors and the vulnerable, and it's also been the NDP mantra all along. But there's trouble afoot for the government right now, when it comes to staffing nursing positions, particularly in the rural communities. And there's no sign of the 11 mental health workers the government promised in the spring budget, also slated for rural communities. The treatment of people with mental illness within the judicial system is another issue likely to come up in this sitting. Every spring, contractors and suppliers across the territory eagerly wait to see where the government will put its pot of money when it comes to capital projects. The Liberals made some big promises: to ensure that local companies get a good crack at work, to expedite a cumbersome procurement process, and to make it all easier by releasing a five-year capital plan to provide certainty and clarity for industry. In the meantime, this year, government contracts have proceeded fitfully, if at all. Contractors who need the work to get them through lean winter months have been disappointed, and there's been little explanation from the department of public works about the tardiness. The opposition will likely have some pointed questions on this file. And then there are the infrastructure problems the Liberals inherited — for example, Dawson's wastewater treatment facility, the Whitehorse airport apron, the Ross River school. Yukoners will be waiting to see solutions. So many questions. Stay tuned. 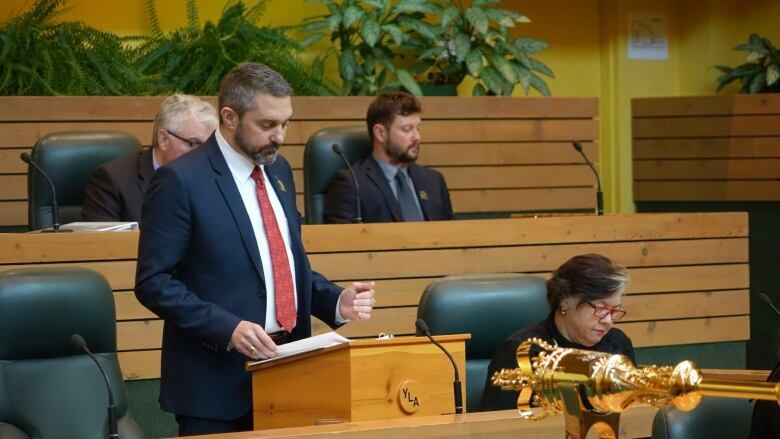 Yukon's Liberals got down to governing in their first spring sitting, but did they deliver?